Many believe that pluralism is perhaps one of the greatest assets Malaysia possesses and is blessed with. It is certainly not a problem and thus should not be treated as a pathology instead. Religious diversity is not an illness that infects the body of the state or nation; nor should it be seen as a handicap. But when a state failed to play the role of an honest broker to create those vital common public domains where interaction, cooperation, respect and recognition develops; and gravitates towards trying to appease the majority segment of the society by infusing religious dogma; what we face is nothing but tyranny of the majority. It has been argued that what we are witnessing is in fact a slow and calculated dismantling of the idea of a plural and liberal Malaysia as professed in the “rukun negara” or “National Principles”, which is now being promoted to be made the preamble to the Constitution. This is largely due to the growing ethnic and religious communitarian politics spurred by the vigorous effort of the ruling government in turning this country to become more puritan in its political outlook. Perhaps the effort to Islamize the state was not a sincere effort after all but more towards gaining more votes from the Malay-Muslim majority without any attempt to reform or open up the mind-set of the Malay-Muslims in the process. Without doubt, this divisive politics, narrow ethnic and religious-based appeal means that we are now stuck at an impasse of our own making, dependent on the Muslim votes, while allowing communitarians to dominate which in turn changes the tone and tenor of normative populist Malay-Muslim politics to remain sectarian and communitarian. This then brings us back to the question of what Malaysian identity means today, and whether the very idea of a universal plural democratic Malaysia has a resonance in this country. Without doubt, the challenge that stands before any government of a society as plural as ours is to develop a national politics that is inclusive and accommodating to all, by giving every citizen a space and a place in the national narrative and national identity. The question remains that could such politics of universal representation take place in an Islamized state or would it be only possible in a secular democratic system where the state remains the honest neutral broker between all communities and all faiths, and does not favour one over the other? This is the main question that is going to be debated in this forum. Professor James Piscatori is a leading scholar of political Islam at the Centre for Arab and Islamic Studies at the Australian National University. He has been a research fellow at the Royal Institute of International Affairs in London and a senior fellow at the Council of Foreign Relations in New York. 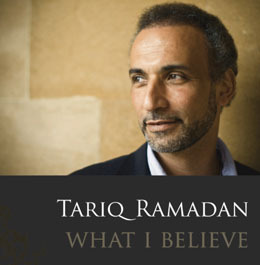 Currently, he is working on the development of pan-Islamic thought and movements. Dr. Patricia Martinez is the first and only non-Muslim Malaysian with a Ph.D. in the study of Religion, specialization, Islam. She was an Associate Professor at the University of Malaya. Among honours and awards, she won a Fulbright Award and was a Fellow in the USA at Stanford University and Ohio University – as the latter has a long relationship with Malaysia. She was also a Fellow at the East-West Centre in Hawaii. Dr. Martinez has headed the Malaysia component of a joint research project on the study of Religion and Ethnic Conflict in Malaysia with Professor Ashutosh Varshney, the Sol Goldman Professor of Political Science and International and Public Affairs at Brown University USA. Dr. Martinez conducted surveys of Muslims in SouthEast Asia: Malaysia, Indonesia, Thailand and the Philippines for RSIS Singapore. She was a Consultant to UNICEF for an Indonesian nationwide pilot project to adjust the curriculum for primary school children to enable them to accept the differences of race and religion after the conflicts in Maluku and Ambon. Her publications are mostly on Islam, Islam and politics in general and in South East asia, and Muslim Identity politics in Malaysia. She also has an entry in a Brill Encyclopedia of Islam. Dr Dzulkefly Ahmad is the Strategy Director of Parti Amanah Negara (AMANAH), an Islamist Democrat and former MP for Kuala Selangor. He has authored Striving For Change (The Blindspot Series) and Najibnomics: Rahmat Atau Malapetaka?. Dr Dzulkefly was a former Director for PAS Research Center and an executive member for PAS. He is a prominent Islamist leader that promotes Islamist Democrat agenda in even PAS before. Professor Norani Othman is currently a Professorial Research Fellow of Sister In Islam (SIS). She was also one of the seven founding members of SIS and until 2013 was its Board member. She was also a founding Research Fellow of IKMAS (Institute of Malaysian & International Studies), UKM and until Jan. 2011; its Principal Fellow and Professor in Sociology of Religion, specializing in issues related to Islamic societies, human rights, rights & empowerment of women, democratization and globalization. Among her most important publications are: Shar’ia Law and the Modern Nation-State: A Malaysian Symposium (editor 1994); Gender, Culture and Religion: Equal before God, Unequal before Man (co-editor with Cecilia Ng, 1995); “Grounding Human Rights Arguments in Non-Western Culture: Shar’ia and the Citizenship Rights of Women in a Modern Islamic Nation-State” in The East Asian Challenge for Human Rights, edited by Joanne Bauer and D.A. Bell (1999); Capturing Globalization (co-editor with James Mittelman, 2001); Elections and Democracy in Malaysia (co-editor with Mavis Puthucheary, 2005); Muslim Women and the Challenge of Islamic Extremism (editor 2006); “Globalization, Islamic Resurgence, and the State Autonomy: The Response of the Malaysian State to ‘Islamic Globalization’” in Globalization & National Autonomy: The Experience of Malaysia edited by Joan M. Nelson, Jacob Meerman & Abdul Rahman Embong, 2008; Sharing the Nation: Faith, Difference, Power & the State 50years after Merdeka (co-author with Mavis Puthucheary & Clive S. Kessler, 2008).